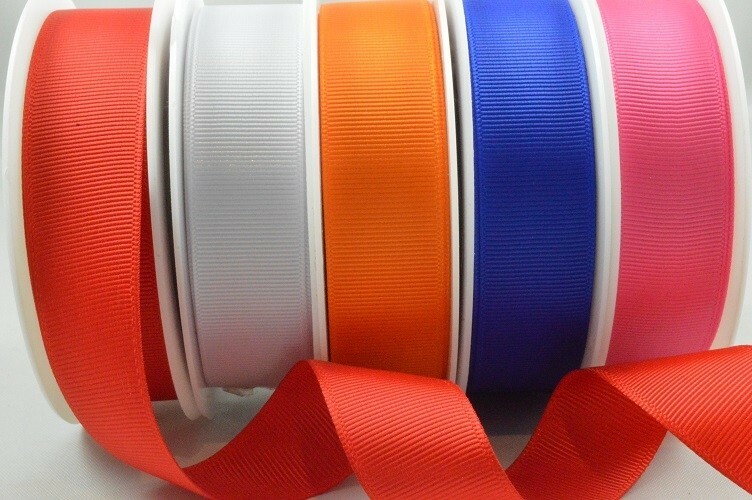 Woven edge grosgrain ribbon available in a selection of widths and colour. Rolls are spooled with 100 metres of ribbon. 53754 - 6mm, 10mm, 16mm & 22mm BULK Plain Grosgrain Ribbon (100 Metres) Woven edge grosgrain ribbon available in a selection of widths and colour. Rolls are spooled with 100 metres of ribbon.